Remember learning about Simple Machines? 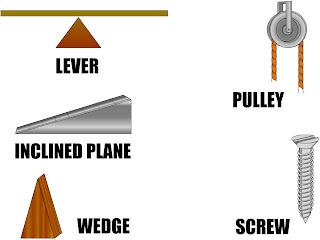 They are the 6 basic tools that can use leverage to multiple force....lever, pulley, incline plane...remember? Well, we've pulled a lot of the simple tools Google offers to marketers into one place called domorewithless. Keyword Tool Insert your site's URL to get a better sense for all the search terms that fit with your website, or input your existing keywords to check out search volume and competition and get ideas for new keywords. Webmaster Central can help you with your crawling and site indexing questions and driving more traffic to your site. Google Analytics Our personal favorite freebie! Google Analytics offers a host of fantastic tools to help you figure out where your traffic is coming from and how users are interacting with your site. Lots of other great tools there. We hope they help you to leverage your marketing muscles to multiply your branding force.